Wish you all a very happy and Prosperous New year! I hope you all made new resolutions and are sticking on to it! My search for breakfast ideas is never ending. 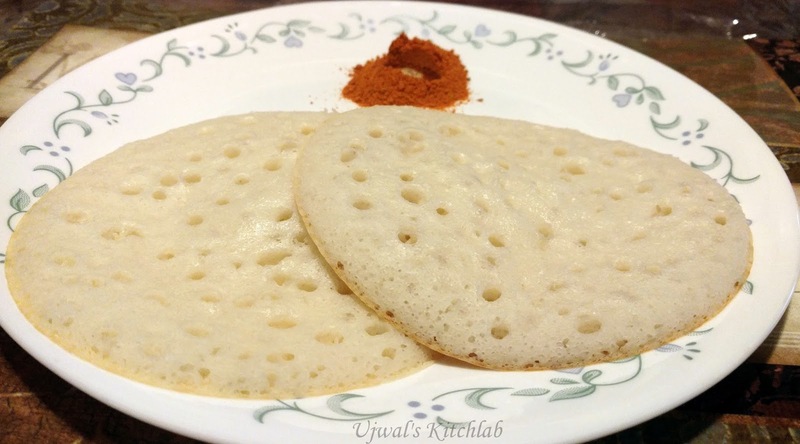 I am on constant lookout for different types of dosa as the boys in the house are crazy about it! I have no idea why this dosa is called Delhi dosa. This was shared by a good friend Chitra on a cookery group. The soft pillowy dosa got my attention and I tried it immediately. The dosas were light, soft and super tasty. This is now a frequent item on our breakfast table . These can be served with Vegetable kurma, saagu, batate song,Chutneys , sambar or simple Chutney powder with coconut oil. Wash rice and urad dal thrice and soak it with poha for 4-6 hours. Grind it to smooth batter with water as needed. Keep the batter in a warm place overnight to ferment. Next morning add salt and sugar to taste. Keep it for five mins.While making dosa make sure that the tawa is hot. Pour a ladle full of batter, let it on high for few seconds then cover and cook on medium to low flame.These dosas need not be flipped but should be covered to ensure that they cook well. Serve hot! I like how simple this recipe is and perfect operation for ip. I actually made thin dosa and that turned out very nice! I love the convenience of having batter at hand to make quick breakfast!